A protest will be held on Sunday to remind the US and the world that states are there to serve their citizens, and not the other way around. 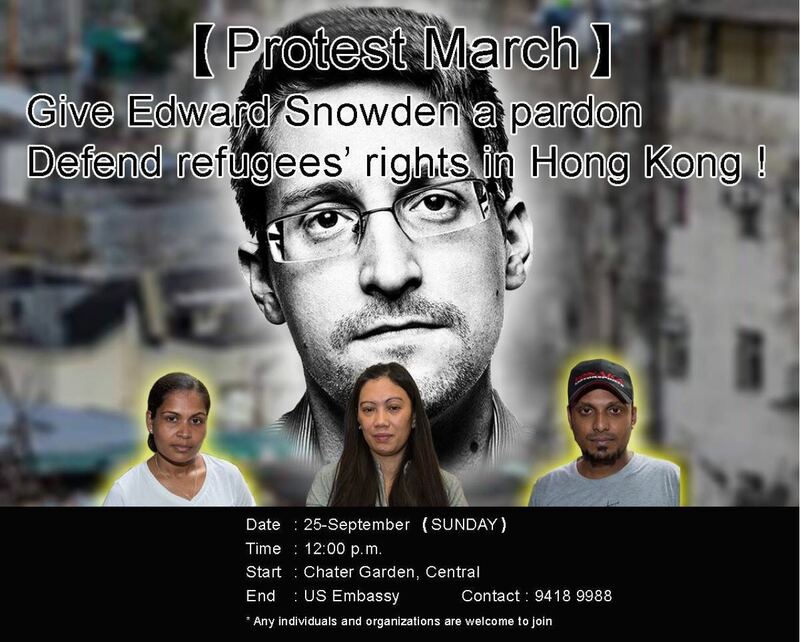 More importantly, this protest will mark the refugee community’s support of the eight refugees who compassionately and selflessly helped Snowden while he was in Hong Kong. We read often in the media of refugees depicted as illegal immigrants, criminals, abusers and welfare cheats. These eight refugees show us a different perspective, one that gives us the opportunity to think critically of the news reports we are fed daily by certain media outlets. The eight refugees demonstrated good heart, skills and kindness that hardly revealed any of the negative stereotypes with which they are usually portrayed. • Grant Edward Snowden a presidential pardon! 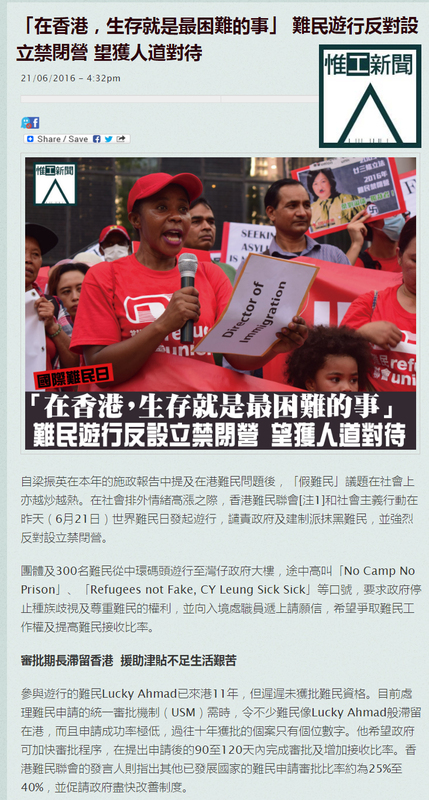 • Defend refugee rights in Hong Kong! 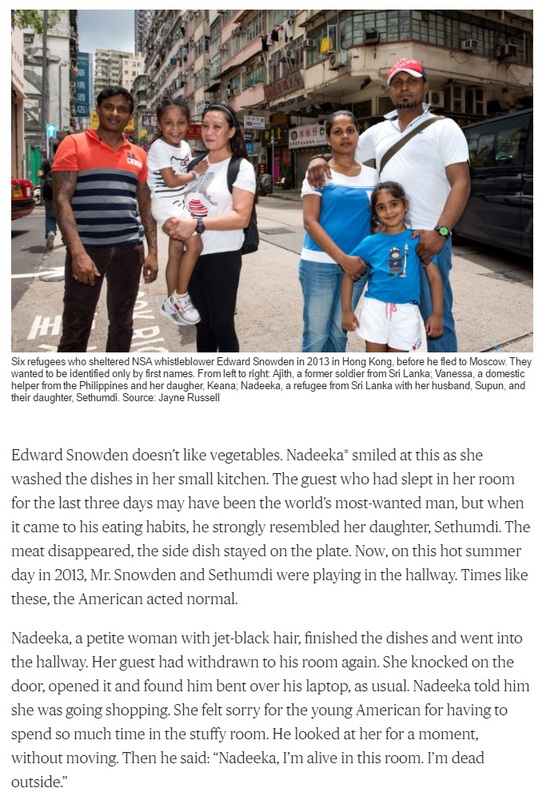 In recent weeks Hong Kong’s small 11,000-strong refugee community has featured in international news reports, after the revelations that US whistleblower Edward Snowden was sheltered and protected by refugee families in 2013. This happened in the first critical days when Edward Snowden ‘disappeared’ in Hong Kong following the global publication of his stunning disclosures revealing the extent of the US surveillance state. Edward Snowden is now campaigning for a presidential pardon and the right to return to the US, where he is currently accused of espionage and faces up to 30 years in jail. 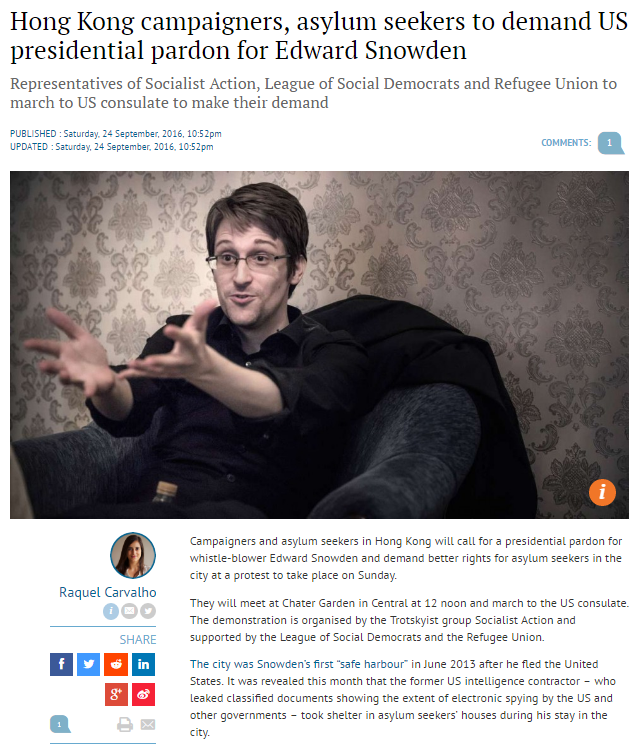 On Sunday, Hong Kong refugees and supporters will gather in Chater Garden and march to the US Embassy in support of the growing international calls for a pardon – motivated by the firm belief that ordinary people around the world have benefited from Snowden’s disclosures which have increased public awareness of the surveillance activities of the US and other states. Our protest will also show appreciation for Snowden’s expressions of solidarity with the plight of refugees in Hong Kong, which has one of the lowest ratios of asylum approvals in the world – less than 0.5% of cases. 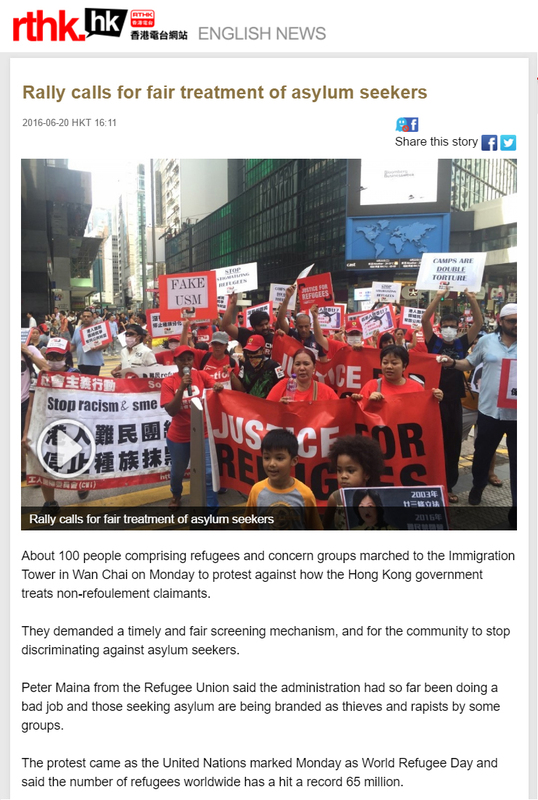 Refugees and social activists in Hong Kong have been campaigning throughout 2016 to expose a racist smear campaign orchestrated by pro-government parties and media groups. 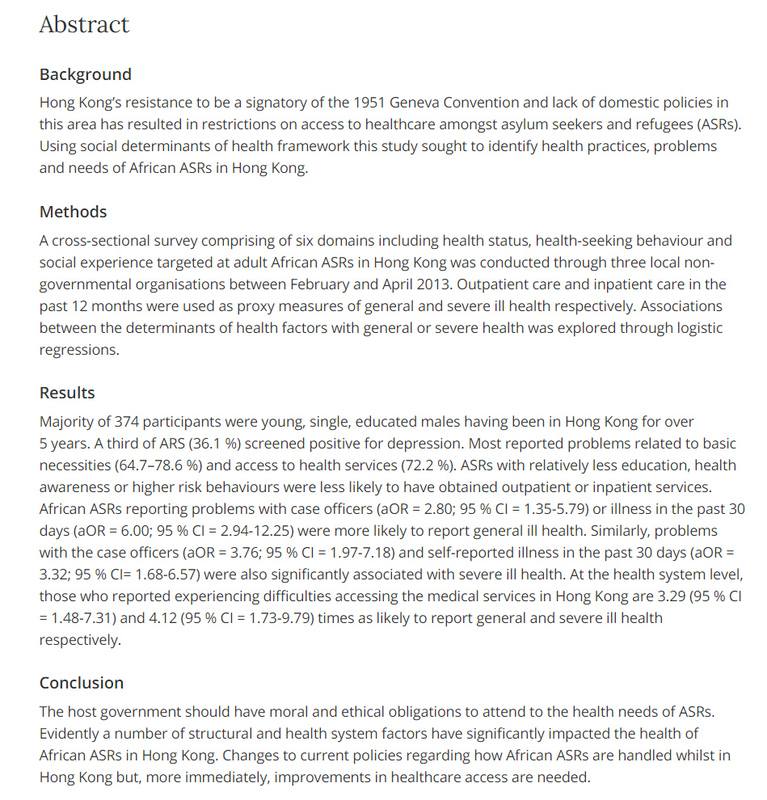 The use of the term “fake refugees” in media reports has increased more than tenfold this year, and sections of the political establishment have called for a detention camp on the ‘Australian-model’ to be built outside Hong Kong’s borders to incarcerate refugees. A recent poll showed than only one in four Hong Kongers support the camp proposal, marking a defeat for the establishment and media campaign. 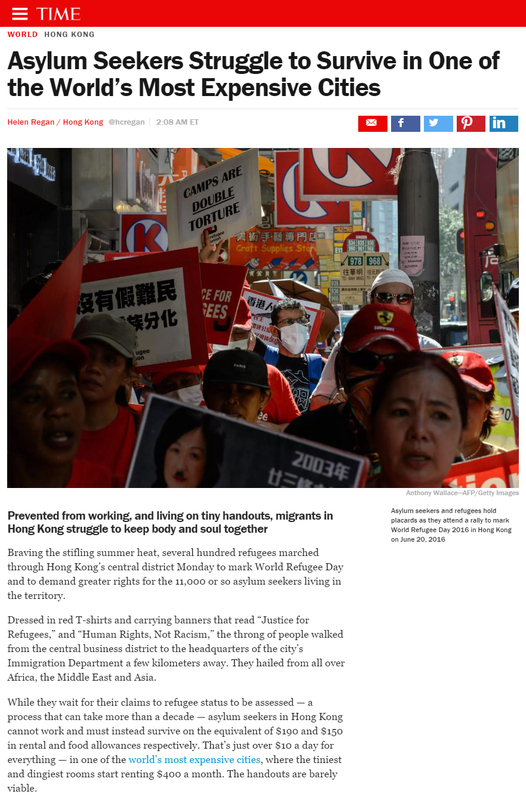 Therefore the recent revelations of civil heroism and solidarity shown by discriminated and impoverished Hong Kong refugee families has also provided a powerful antidote to the Hong Kong government’s anti-refugee media campaign. 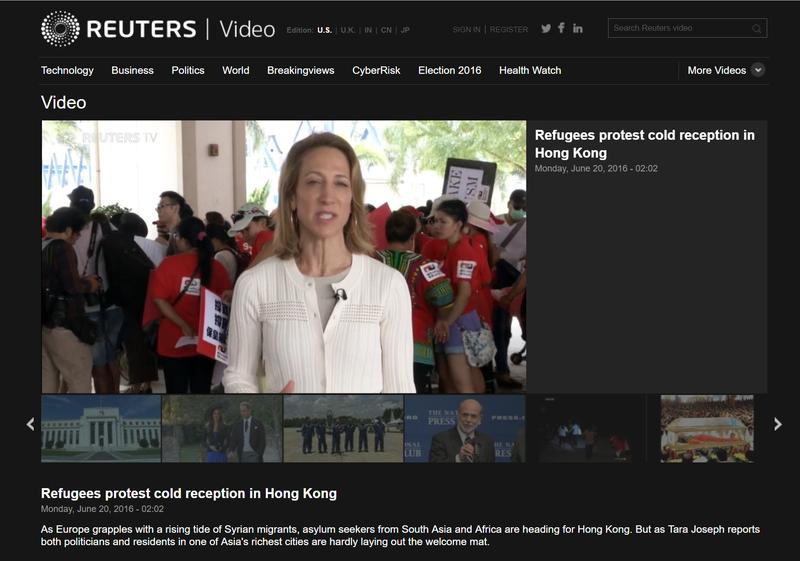 Unlike major overseas media, Hong Kong-based media – with a few notable exceptions – have barely reported the news about Snowden’s time with the Hong Kong refugees. This is another reason for our protest on Sunday 25 September. Arranged by Socialist Action and League of Social Democrats.